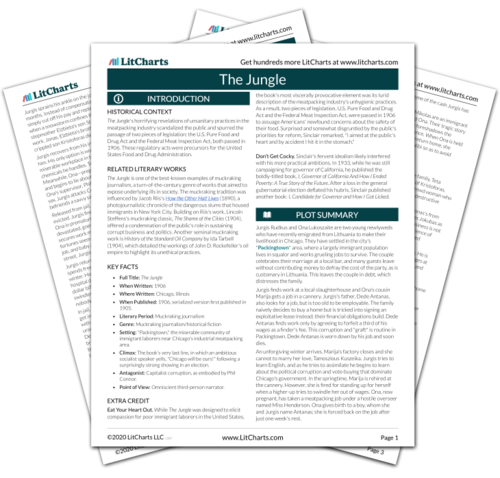 Instant downloads of all 946 LitChart PDFs (including The Jungle). Mike Scully is a powerful, conscienceless Democratic Party boss who has a hand in many of Chicago's criminal activities, including the housing scam that defrauds the Rudkus family. During Jurgis's time as a criminal, he helps Scully rig an election and enjoys the benefits of Scully's political "pull." However, Jurgis falls out of favor when he attacks Phil Connor a second time, as Connor is a close friend of Scully's. The timeline below shows where the character Mike Scully appears in The Jungle. The colored dots and icons indicate which themes are associated with that appearance. Sobel, Ben. "The Jungle Characters: Mike Scully." LitCharts. LitCharts LLC, 5 Jan 2014. Web. 24 Apr 2019. Sobel, Ben. "The Jungle Characters: Mike Scully." LitCharts LLC, January 5, 2014. 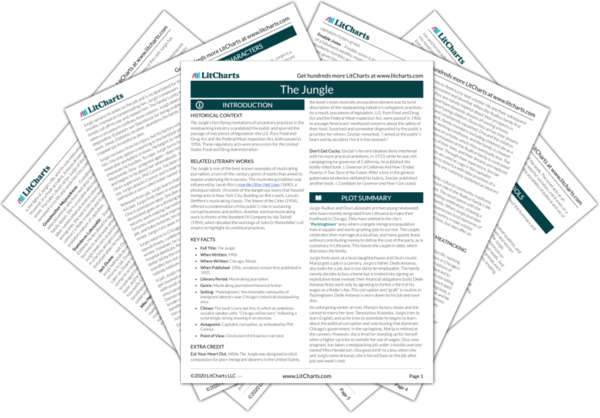 Retrieved April 24, 2019. https://www.litcharts.com/lit/the-jungle/characters/mike-scully.